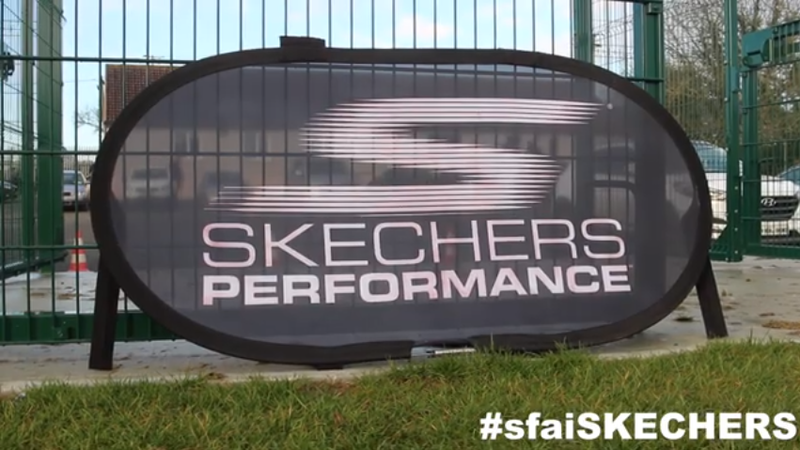 The semi-final pairings for the SFAI Skechers National Cups have now been confirmed, with 10 games across five age groups set to take place over the next two weekends. 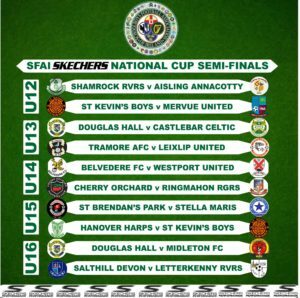 In the U12 age group, Shamrock Rovers welcome Limerick side Aisling Annacotty to Dublin, while Mervue United travel to St Kevin’s Boys to take on the current holders. In the U13 competition, Douglas Hall face Castlebar Cetlic and Tramore take on Leixlip United – with all four sides recording impressive quarter-final wins. Belvedere will play host to Westport United in the first U14 semi-final, while Cherry Orchard will welcome Cork side Ringmahon Rangers to Elmdale. Stella Maris travel to Kerry to face St Brendan’s Park in the U15 competition, while the other tie will see Hanover Harps from Carlow play St Kevin’s Boys. Finally, the first U16 semi-final will be an all Cork affair as Douglas Hall and Midleton face off, while the second tie will be between Salthill Devon and Letterkenny Rovers.